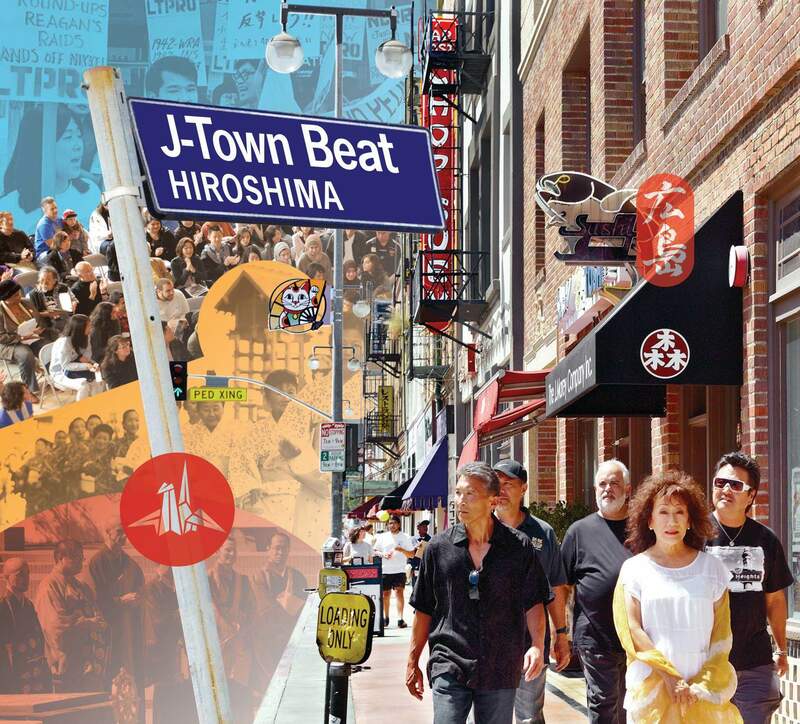 In notes and comments about the band’s latest album, “J-Town Beat,” Hiroshima co-founder Dan Kuramoto hinted that the focal point has been in front of them for practically their entire lives. Hiroshima will be on stage this weekend, performing with Keiko Matsui on Friday at the Hyatt Regency in Newport Beach, and Saturday at the Avalon Casino Ballroom on Catalina Island. “J-Town Beat,” released Sept. 26, is the 19th album from the Grammy-winning group that played a major role in establishing jazz-fusion as a major music genre. Kuramoto said the idea that anchors the album came from a dear friend with a vision. As manager and artistic director of the Japan America Theatre, now known as the Aratani Theatre, Ebata sought out the best in Japanese American and Asian Pacific Islander programming, and is largely credited for the rise in popularity of taiko performance. Ebata created a series of concerts called “Kokoro” (in Japanese, “from the heart”) that focused on artists committed to exploring their own multiculturalism. “He encouraged June to do a solo concert, myself as well,” Kuramoto said, referring to original band member June Kuramoto, a master koto player who has released solo CDs in addition to her work with Hiroshima. Ebata, who often held symposiums on Japanese American performing arts and served on panels for groups such as the National Endowment for the Arts, died of cancer in 2000 at the age of 49. “We wanted to take Duane’s idea and apply it to an entire CD project. For us, the preservation of ethnic enclaves is one of the keys to the cultural diversity of this country. That mix is what makes this country so vibrant,” Dan Kuramoto said. The latest collection finds Hiroshima taking influence from local hangouts and distant lands, and even includes a re-worked version of “Cruisin’ J-Town,” one of their earliest recordings. “J-Town Beat” opens with sounds familiar to practically anyone who has spent a fair amount of time in and around the JA community. “Red Buddha” is an exotic romp through Japanese Obon festivals, with electronic drums and pop, filled with celebration. Celebrated percussionist Kenny Endo provides many different rhythms, kakegoe (calls made by the drummers) and unique Japanese percussion instruments. June Kuramoto comes from behind her iconic koto and sings and plays the shamisen in the beginning of the song. “I wrote this song based on a number of my musical and cultural influences,” Dan Kuramoto recalled. “The title is actually the title of an amazing musical theater piece by Stomu Yamashita. It was like a commentary on contemporary Japanese culture in conflict with its own history. 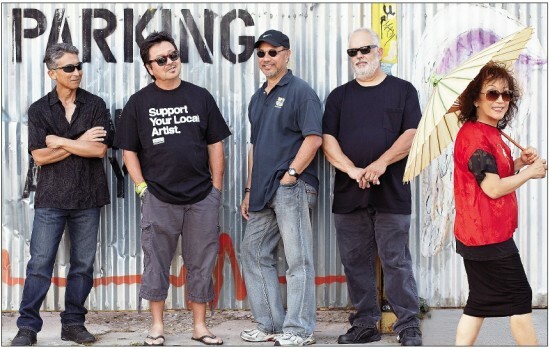 Other tracks draw their inspiration from locales as far off as France and Hawaii, with the tune “Da Kitchen” providing a sonic homage to a plate-lunch restaurant on Maui. “J-Town Beat” is available at Apple’s iTunes, Amazon.com and from the band’s own website, www.hiroshimamusic.com. Information is also on Hiroshima’s Facebook page. Saturday, Dec. 7, at 7:30 and 10:30 p.m., Spaghettini’s, 3005 Old Ranch Pkwy., Seal Beach, (562) 596-2199, (714) 960-6022, www.spaghettini.com. Holiday shows feature guest artists Terry Steele (vocals) and “Tets” Nakamura (harmonica).